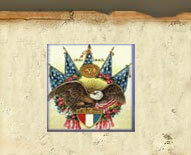 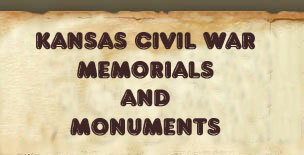 Kansas is known as the Soldier State because of the number of Civil War veterans who settled there. 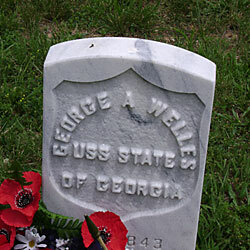 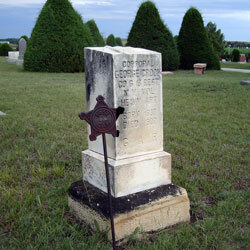 This is clearly different states that are represented in the Kansas cemeteries. 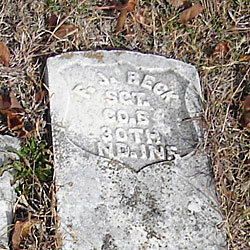 The list below represents just a sampling (one from each state) of the different Government Issue headstones found during the Monuments and Memorials search. 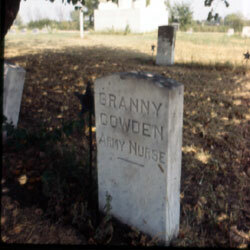 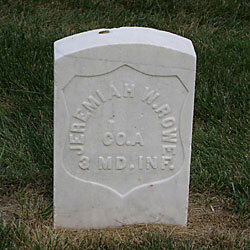 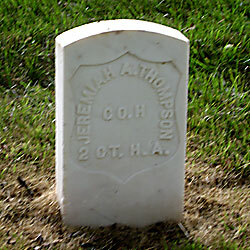 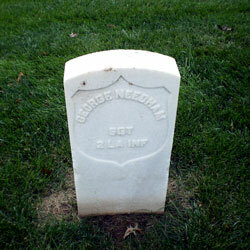 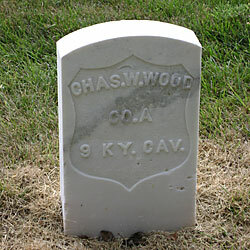 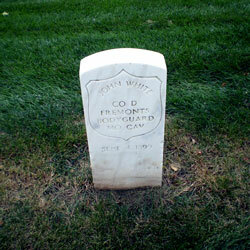 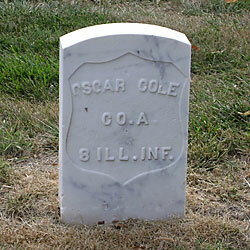 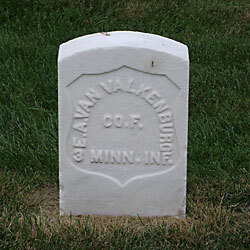 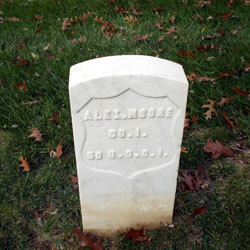 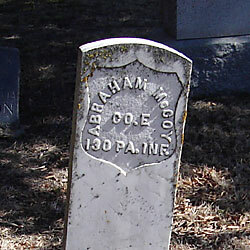 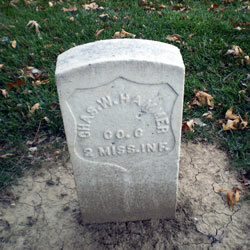 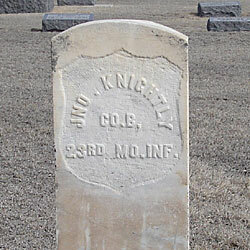 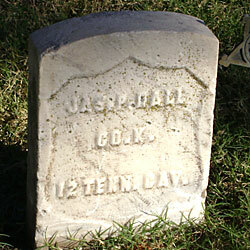 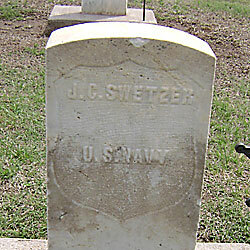 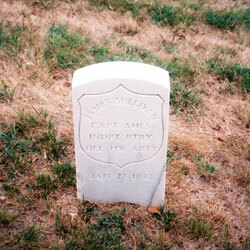 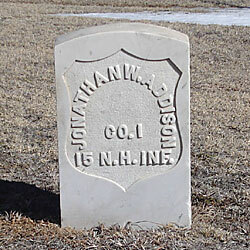 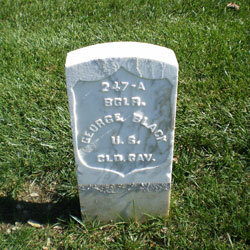 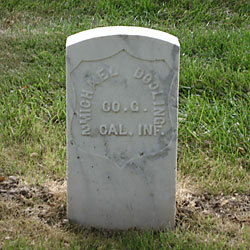 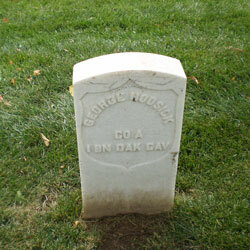 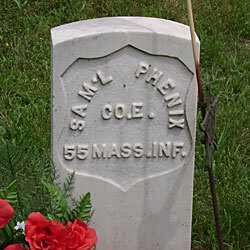 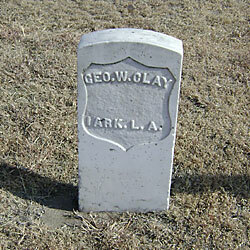 The units reported on these headstones include Infantry, Calvary, Light Artillery, Heavey Artillery, and the US Navy. 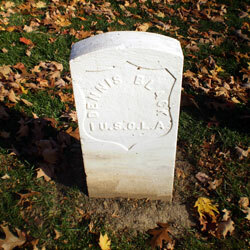 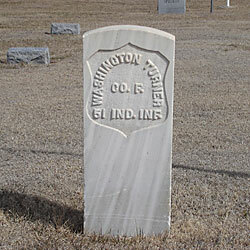 The cemeteries where these headstones are located include Coldwater, Collyer,Emporia, Fort Dodge, Fort Wallace,Hoxie, Larned, Leavenworth, Lucas, Wellington, and others spread all across the state. 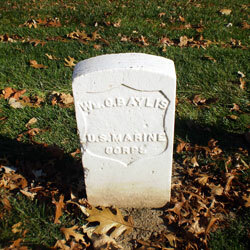 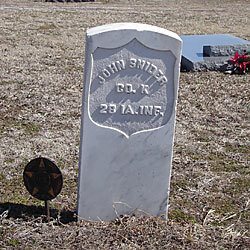 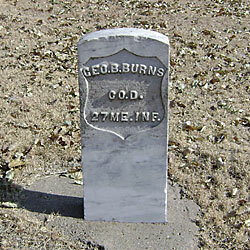 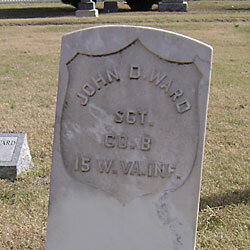 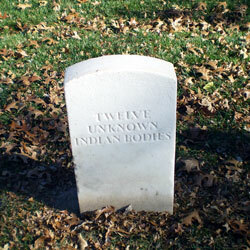 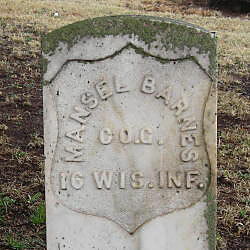 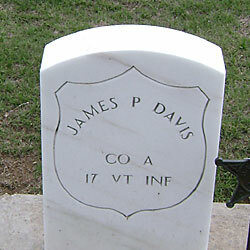 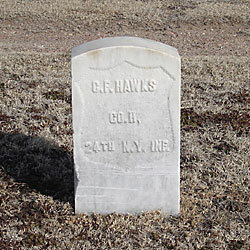 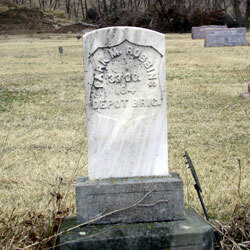 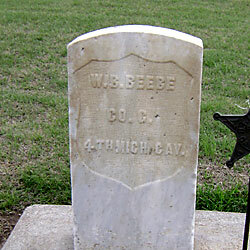 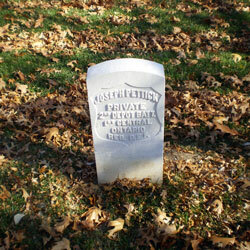 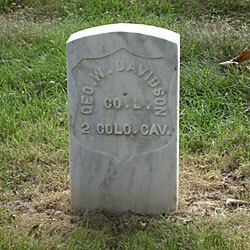 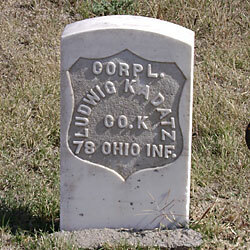 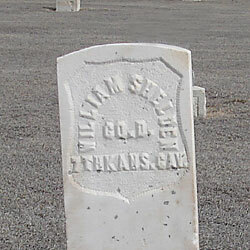 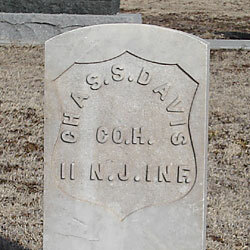 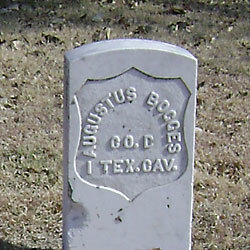 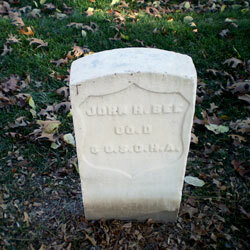 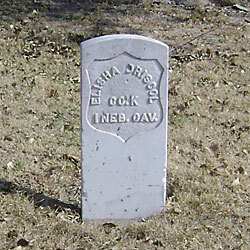 The Graves presented here include only a very small number of the Civil War veterans buried in Kansas. 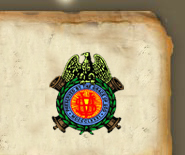 They were selected for state where organized, location, and unit type.